Everything around us - from the tiniest insect on Earth to the most distant stars of the cosmos - exists somewhere on a vast scale from cold to hot. In this series, Helen explores the extraordinary science of temperature. She unlocks the extremes of the temperature scale, from absolute zero to searing heat of stars - and reveals how temperature works, how deep its influence on our lives is, and why it's the hidden force that has shaped our planet and the entire universe. In Michael Berkeley's programme Private Passions, Helen talks about music, and about the influence music has had on her life. Helen explores the world of sound, investigating the hidden sounds of volcanos, the secrets of the human voice, and the beauty behind the sound of Big Ben. In two episodes. Horizon delves into the science of hair. Helen is co-presenting with Anne Glover, Zoe Williams and Laura Waters. Six 30 minute programmes, each digging down into the science of the Avalanche, Volcano, Lightning, Aurora, Tornado and Iceberg broadcast on BBC4. Series 2, Episode 5 of the Quizeum. Located in the world's oldest surviving passenger railway station, Manchester's Museum of Science and Industry plays host this time. Griff Rhys Jones invites regular team players Professor Kate Williams and Dr Janina Ramirez to explore the story of Manchester's scientific and industrial past, present and future, alongside mathematics professor Marcus du Sautoy and physicist and oceanographer Dr Helen Czerski. A three-part series on Colour, as part of the BBC’s contribution to the International Year of Light. Earth is the most colourful place we know of. In this series, Helen uncovers what colour is, how it works, and how it has written the story of our planet - from the colours that transformed a dull ball of rock into a vivid jewel to the colours that life has used to survive and thrive. But the story doesn't end there - there are also the colours that we can't see, the ones that lie beyond the rainbow. Each one has a fascinating story to tell. Part quiz, part panel show, The Quizeum celebrates the UK's unique and fascinating museums. At the National Maritime Museum in Greenwich, the experts being put to the test by Griff Rhys Jones are historian Professor Kate Williams, historian specialising in European and Chinese ceramics Lars Tharp, former first sea lord Admiral Lord West, and physicist and oceanographer Helen Czerski. Today, the topic of climate change is a major part of daily life, yet 40 years ago it was virtually unheard of. Since then, Horizon and the BBC have followed scientists as they have tried to unpick how the climate works and whether it is changing. Helen delves into this unique archive. 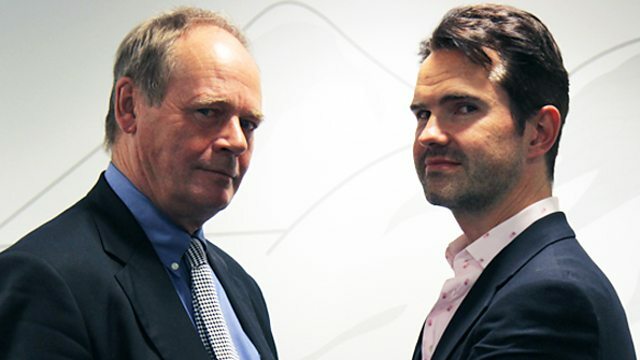 First broadcast: 4 March 2015, BBC4. 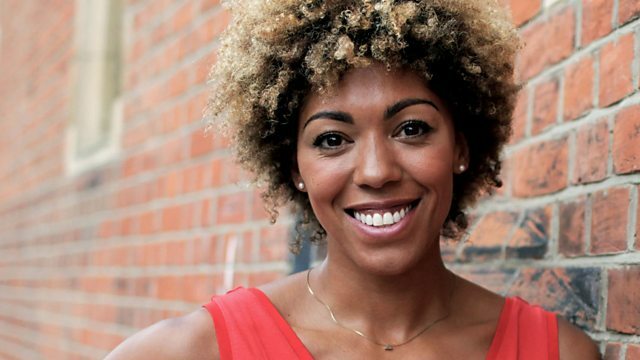 Helen has filmed a 3 part series (first episode shown on 19 Aug 2014 on BBC2) on the science of animal senses, which she presents with Patrick Aryee. Humans have an impressive array of physical senses, but there is still a lot that we can't see, hear or smell. Many animals can perceive far more of the physical world, and they communicate, hunt and disguise themselves in ways that humans can't detect directly. This series explores the science of how animals sense this hidden physical world, and what that extra insight allows them to do. A Horizon programme on whether the Jet Stream is changing. British weather has been unusual in the past few years. Helen and co-presenter John Hammond are exploring whether there are longer-term changes underway. To celebrate its 50th birthday, Horizon invites the public to play a role in tackling the greatest challenges facing science today. Helen is part of a special Horizon programme which launches the 10 million pound Longitude Prize 2014. Horizon explores six potential challenges nominated by a new Longitude Committee, and launches a vote to determine which should be put forward as the new Longitude Prize. The question is 'if you had 10 million pounds to make one change to the world, what would you do?'. The revamped Sky at Night - on BBC4. The team looks at why Jupiter has such extraordinary weather. Helen appears as guest presenter discussing the atmosphere of Jupiter. Dara O’Briain hosts another 6 episodes of Science Club for BBC2. Accompanied by his regular team of Professor Mark Miodownik, Dr Helen Czerski and science journalist Alok Jha, along with some of the world’s most eminent scientists, Dara explores the ground-breaking ideas that are changing the world we live in. Kate Humble and Helen reveal the inner workings of our very own star. It's more active now that it's been for a decade, sending eruptions of super-heated plasma and vast waves of radiation towards our planet - with the potential to disrupt our lives in dramatic ways. Helen presents a BBC4 programme all about the science of bubbles. Bubbles may seem to be just fun toys, but they are also powerful tools that push back the boundaries of science. From the way animals behave to the way drinks taste, Helen shows how bubbles affect our world in all sorts of unexpected ways. 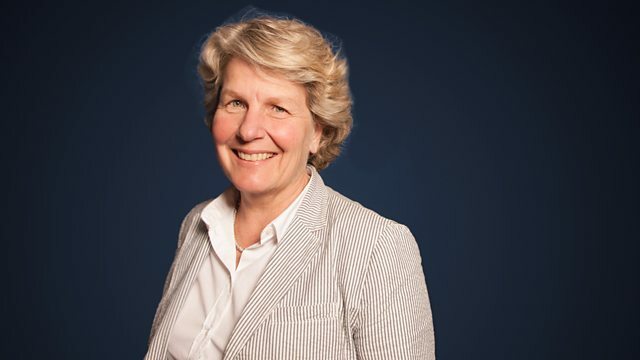 Comedian and writer Sandi Toksvig, former armed robber turned triathlete John McAvoy and bubble enthusiast, Dr. Helen Czerski and harmonica fan Ben Hewlett. With the Inheritance Tracks of Richard Blackwood. The Arctic is warming twice as fast as the rest of the planet. That's certain to impact on the weather we experience in Britain. 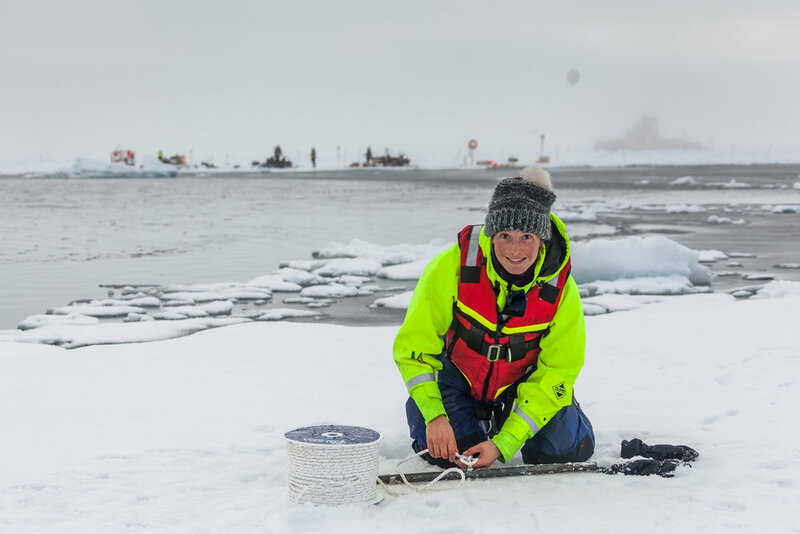 Helen and a boatload of international scientists have just spent a month at the North Pole conducting experiments to find out much more about the impacts of this extraordinary change to our planet. Join Helen on the Arctic ice floes for the very latest research on the rapid changes to the far north. This week Helen plays the role of Josie for the second time alongside Robin as they’re joined by author and actual proper broadcaster Dallas Campbell to talk about space books, including his own recently released Ad Astra. From HG Wells to Jules Verne and Ladybird books of space the three discuss all manner of books, space travel and why people buy into conspiracy theories. Robin Ince and Helen Czerski interview Kimokeo Kapahulehua, who is well-known throughout Hawai‘i for his tireless efforts to preserve and perpetuate his Hawaiian culture, the land and sea. A few nights before this episode was recorded, Kimokeo appeared at the Royal Albert Hall, with Helen, as part of Space Shambles where they spoke of celestial navigation. Now he’s in the Shambles studio to chat of the oceans, his involvement with Hawaiki Rising, the award winning book about the voyaging canoe Hokule’a. Helen spoke to Matt Parker (@standupmaths) about the physics of a champagne cork pop. Free videos for A Level students, recorded at Hay Festival 2017. The series sees the world’s greatest teachers, thinkers and writers offer bite-size answers to the biggest questions. The Shocking Surprise Why do we get static shocks? The team uncover some slightly unethical science experiments on static electricity from the 1700s. Hannah Fry uses a Leyden Jar to demonstrate how static electricity works with help from her glamorous assistant, Adam Rutherford. Spoiler Alert: it doesn't end well for Adam. They discover what makes some people more susceptible to static shocks, and how bees and spiders have harnessed the awesome power of electricity. Featuring electromagnetism scientist Rhys Phillips and physicist Helen Czerski. This is the talk Helen gave in February 2017 at TEDxManchester . Katie Puckrik talks to Helen about two new BBC4 television programmes which explore sound. They discuss the sounds of whales, dolphins, rumbling volcanos, bats, bull whips, the extraordinary movements in the human tongue when you sing, and the high pitch sounds some of us cannot hear. Cara Santa Maria is a Los Angeles Area Emmy and Knight Foundation Award winning journalist, science communicator, television personality, producer, and podcaster. In this episode of TalkNerdy, Cara is joined in studio in Los Angeles by Helen. They talk about the science of bubbles, the current science landscape in broadcast television, and Helen's new book "Storm in a Teacup: The Physics of Everyday Life". Witty, irreverent look at the world through scientists' eyes - hosted by Robin Ince and Brian Cox. Helen appears with Russell Kane and Danielle George, in the first programme of the new series, recorded at the Manchester Museum of Science and Industry: Episode 1 of Series 15 (at 4:30pm). Adam Rutherford puts listeners' science questions to his team of experts: physicist Helen Czerski, cosmologist Andrew Pontzen and biologist Yan Wong. Queries include gravity on sci-fi space ships, how animals would evolve on the low gravitational field of the Moon, gravitational waves, mimicry in parrots, sea level rise, the accelerating university, dinosaur intelligence, the Higgs field and concerns about oxygen levels in the atmosphere. Helen returns to Channel 4's Sunday morning show, hosted by Tim Lovejoy and Simon Rimmer - Series 5, Episode 44. 'Mind-expanding Monday' - Geoff Lloyd asks Helen some very interesting questions about every day physics. Listen to the podcast (interview starts at 23 minutes). A comedy-literary podcast with Josie Long and Robin Ince. In Episode 5, Helen joins Josie and Robin to talk about the science of every day things. 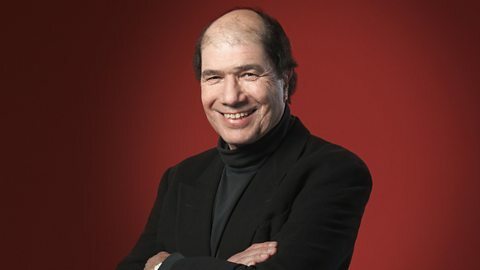 Helen joins composer Odaline de la Martinez, actor Paapa Essiedu and geologist and gold prospector Jim Richards as guests of Libby Purves for this week's edition of Midweek on BBC Radio4. New Year Eve's edition. Adam Rutherford and guests oceanographer Dr Helen Czerski, astrophysicist Chris Lintott and zoologist Dr Tim Cockerill share their highlights of the science year and answer listeners' science questions. Bubbles - fragile gas filled spheres, sparkling champagne globules that fill your nose with fizz, pipe dreams that pop when the illusion grows too big: the Forum explores the mysterious world of bubbles. Bridget Kendall is joined by Helen Czerski, biomedical engineer Constantin Coussios and artist Bradley Hart who makes giant paintings using bubble wrap. A six-part science magazine programme hosted by Dara O'Briain started on 6 November 2012 on BBC2. He was joined by materials scientist and engineer Mark Miodownik, neuroscientist Tali Sharot, journalist Alok Jha, and Helen Czerski. Helen was looking at "Cutting Edge" science projects for this series. In this 2-part programme, Operation Iceberg, Helen, Chris Packham, Andy Torbet, and Chris Van Tulleken join a team of scientists as they investigate the birth, life and death of icebergs. They were on the ice and at sea for six weeks, investigating the science of glaciers, how glaciers produce icebergs and why icebergs matter for our polar regions. It was an amazing expedition, connecting many strands of polar science and involving plenty of ice adventures. Filming took place in July and August 2012. See the videos, photos and diaries of the filming of Operation Iceberg. Horizon television programme about the transit of Venus which occurred during the early morning of 6 June 2012. Helen co-presented with Liz Bonnin and Lucie Green, and Helen covered the science of the Venusian atmosphere. A video of this programme is available for use by schools and universities via the 'BBC Active' website. "Orbit" is the set of three programmes which explore the relationship between the Earth's orbit and the weather. Filming took place throughout the whole of 2011, and the programmes were first broadcast in March 2012. Making the series videos, and "Joy of Snow". The series was rebroadcast on 4, 11 & 18 Dec 2014, and a DVD is available at the BBC Shop. Prof John Lloyd and the museum's curator Jimmy Carr, with guests Sean Hughes, Dr Irving Finkel, and Helen Czerski. Helen donated a bubble. Blue Peter science feature: BBC2 Stargazing Challenges. Broadcast originally in January 2012 and again in October 2012.